Left to right: Wild South volunteer, Wayne Bailey; Outreach Coordinator, Janice Barrett; founder and Cultural Heritage Director, Lamar Marshall; Alabama Volunteer Coordinator,Kim Waites; Alabama Programs Manager, Mark Kolinski. 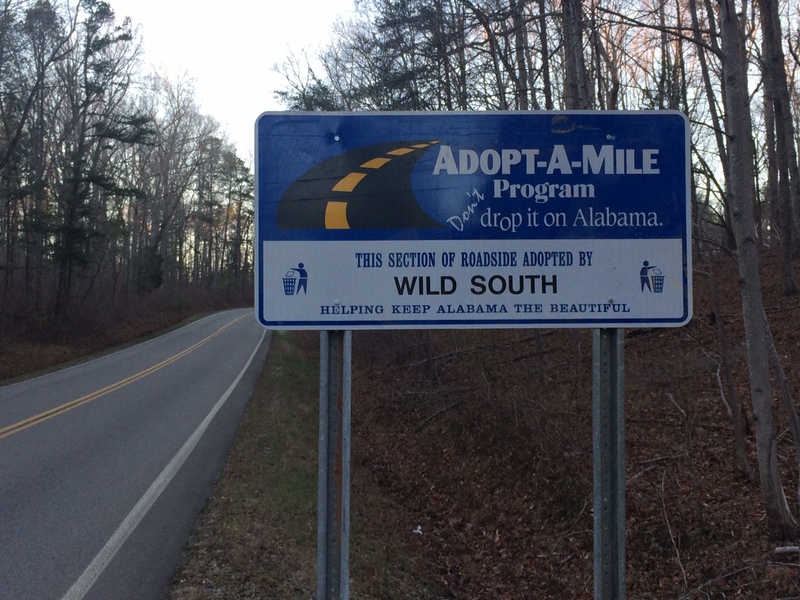 For the first time ever, since the beginning of our organization as the Bankhead Monitor back in 1991, Wild South finally has a permanent outdoor sign! Our sign is a generous donation by Markham Bailey Image and Print in Birmingham, owned and operated by Wild South member Anne Bailey. 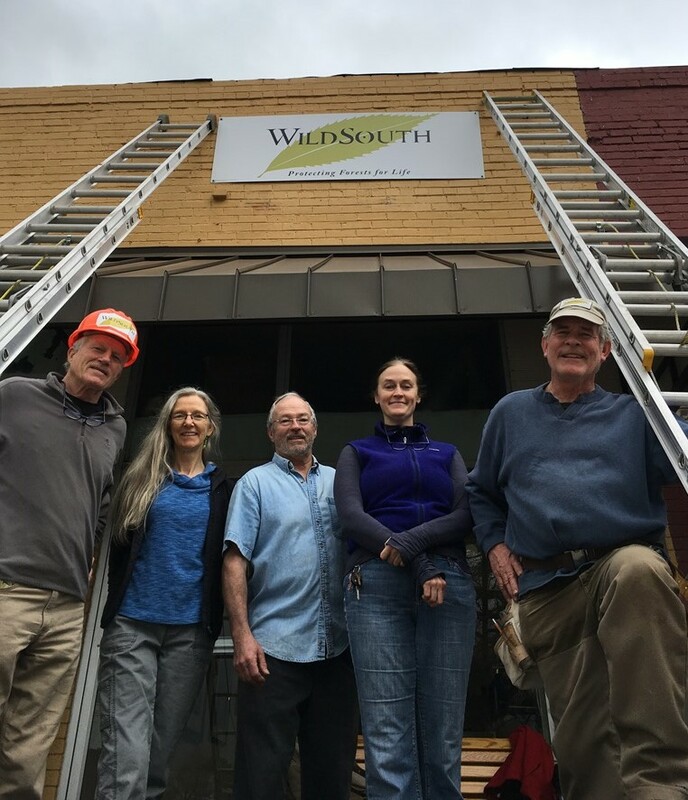 In January, Wild South volunteer Wayne Bailey assisted in the installation of the sign on the front of our office in downtown Moulton, Alabama; Wild South volunteer Jay Murphy loaned the very long ladders. We are grateful to Markham Bailey and our volunteers! 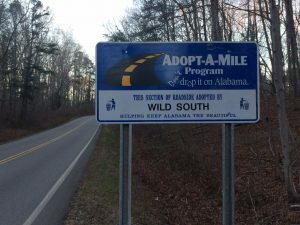 Another sign we are proud to announce is the Adopt-A-Mile sign on Highway 33 in the Bankhead National Forest that names Wild South as the official roadside caretaker for a 5-mile stretch between Pine Torch Road and Cranal Road. In fact, there are two signs, one on the east and one on the west side of the highway. We will soon make plans for our first trash pick-up along our adopted section, so watch your inbox and Facebook.